For spray paint process, this is absolutely easy and convenient! All we need is going to metal shop and get some metal nails. The magnetic parts will fit onto each nail very easily and you may start your spin and spray just like chocolate fountain! Blank TinBot is made for Customization. No license is needed for doing your own TinBot. 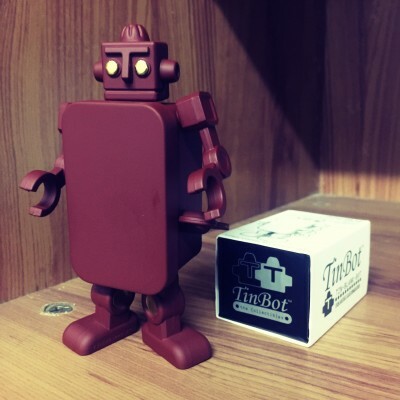 The only thing you need is a Blank TinBot :) , bring it home now!